MJ is Back with Akon! It’s the most viewed video on youtube today and probably going to be the most played song on 99.7 this week…if you haven’t heard it…here’s MJ’s new song with AKON, ‘Hold my hand’. So, today in Lulu, I found a fantastic bargain! 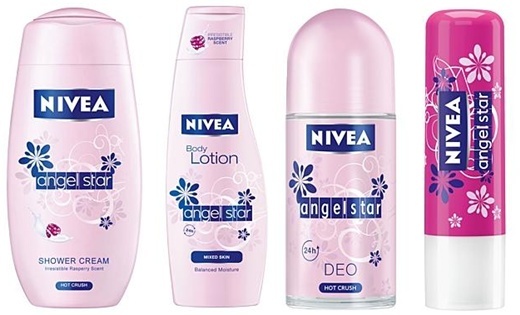 I got the new Nivea Angel Star Line lotion (and deodorant free)… it was only 1.050kd. Cheap, right? Well, I tried out the lotion tonight, it feels amazing and smelt so good that I wanted to eat it!! It gave me that soft feeling that we all crave! Basically it has a special formula that contains a balanced moisturizing technology with micro fine powder particles that adapt to the level of moisture needed on different body zones. Result: oily zones are mattified and dry zones are intensively moisturized while the irresistible raspberry scent pleasantly enwraps your skin. I seriously recommend everyone tries it! I’m more of a neutrogena type of girl but not any more! I’m sticking with Nivea!! And GUYS: 😛 Yes, guys use lotions too!! I got my husband some of the lotion for men. 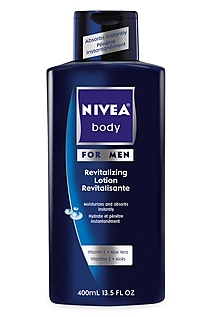 Nivea is getting 10/10 from me for their products!